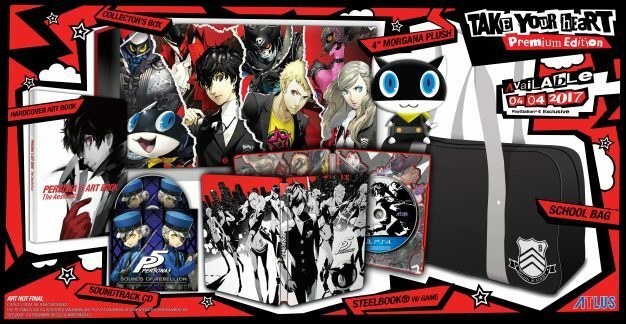 Those who missed out on the exquisite Take Your Heart premium and steelbook editions of the PS4 version of Persona 5 will have the chance to scoop up a limited edition controller skin with their standard edition. All the while, those of us who were lucky enough to secure one of the two higher-level editions of the game will bitterly cross our loot-filled arms upon release, wielding unadorned controllers throughout the entire game. The stylish decal features a few members of the Phantom Thieves crew and is the perfect accompaniment for a long night of stealing hearts. If you’re worried about how you’re ever going to get the decal onto the controller, fear not! The ghost of former PR Manager John Hardin and the voice of Ann Takamaki (Erika Harlacher) reveal the decal and demonstrate how to apply it to the controller in the video below. Persona 5 is set to release on April 4th 2017 on Playstation 3 and Playstation 4.